We shared some fun photos with you from Fall Quilt Market 2016 in Houston of some of our favorite Moda designers dressed up in their alter-ego superhero gear. Now, we're bringing you a sneak peek inside of the book that inspired such a fun game of dress up: Mini Marvels: 15 Little Quilts with Big Style! These 15 little projects show such a variation of style! We simply can't choose our favorite! Here's another little treat for you! Our video from Fall Quilt Market 2016! 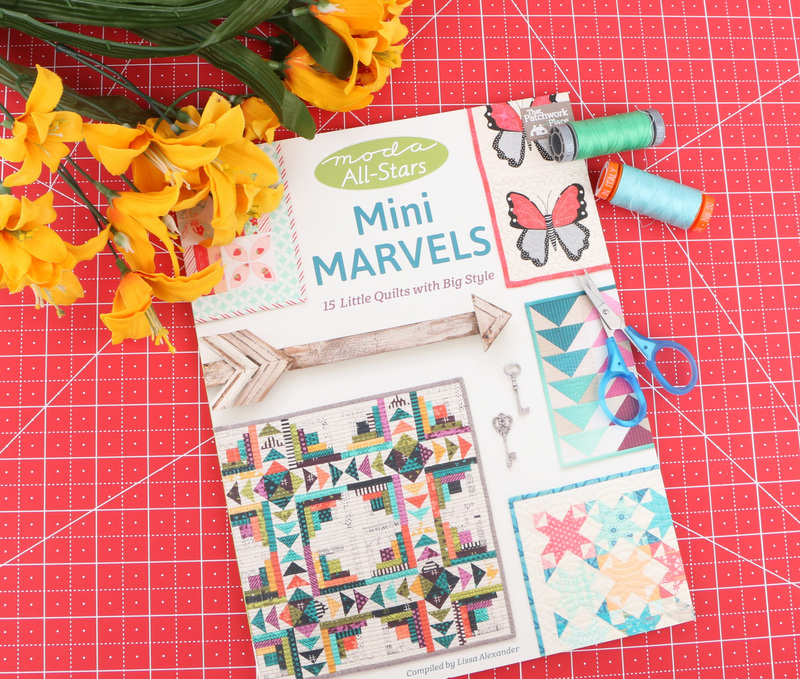 Get your own Mini Marvels book full of little surprises and find all of the fabric, thread, and accessories that you may need all in one place! We're at it again! Leave us a book review on our book page and we will select one winner to receive a copy of the Mini Marvels book! What has been your favorite book so far?